Do you suffer from flareups of dry, red, bumpy, itchy skin? This could mean you sometimes come into contact with a substance you’re allergic to. Unfortunately, with so many different products and chemicals in our home and work environments, it can be difficult to figure out exactly what triggered your allergic reaction. This is where T.R.U.E. TEST® patch testing becomes very helpful. We can perform the test right here in our office to help identify the specific allergens that may be causing your skin irritation. T.R.U.E. TEST® is a simple and convenient skin allergy test consisting of three thin panels. These panels contain small amounts of various different allergens dried into a thin film. When we apply the panels to your back, the films containing the allergens will become moistened by contact with your skin, releasing the allergen. When we remove the test patch, we’ll be able to tell which allergen or allergens caused a reaction with your skin. T.R.U.E. TEST® is one of the most comfortable types of skin allergy testing available. The reactions caused by the test allergens are mild except in the rarest cases, and because the test is adhered to the skin using hypoallergenic surgical tape, it is safe for use on all skin types. At this time, T.R.U.E. TEST® is only approved for use on adults age 18 or over. 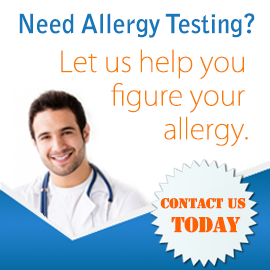 As your allergy doctor, we will help you understand the results of your test. 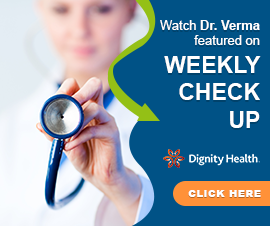 This includes explaining what common beauty products, medications, and other substances might contain the allergens you have a sensitivity to. We can then offer advice for avoiding contact with these substances, as well as topical treatments to help ease the symptoms of your allergic contact dermatitis when you do have a flareup. If you’re ready to get to the root cause of your allergic contact dermatitis, please contact Allergy, Asthma, & Immunology Medical Group today to set up your appointment for T.R.U.E. TEST® patch testing.